I agree, CRTs have a certain magic to them that’s really hard to pinpoint/explain. They just look better, and pictures can’t really capture it. The image is alive, sharp and smooth at the same time. Without a doubt, this is the best display for 240p content that I’ve ever owned. 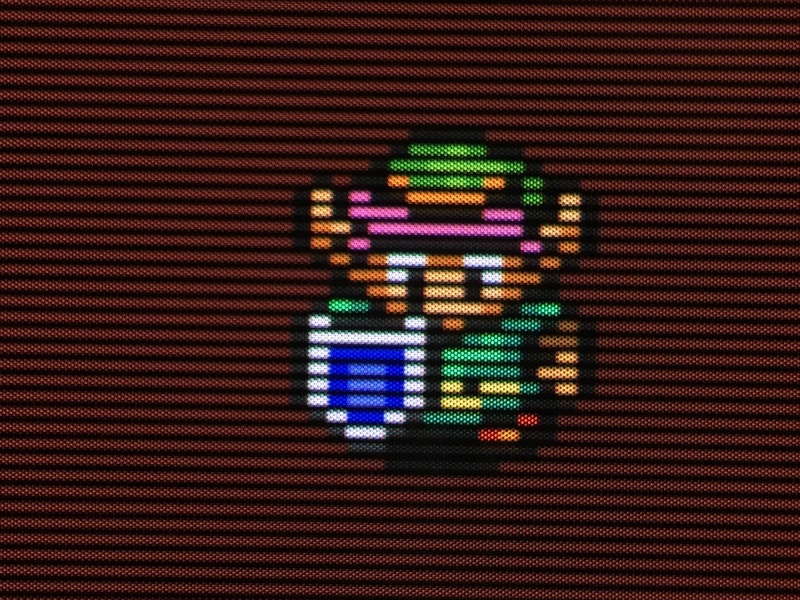 I’ve come to the conclusion that there are several aspects of the CRT that shaders on an LCD are incapable of replicating: the way the phosphors emit light, the flicker, the true blacks, the complete lack of motion blur, the viewing angles. This easily beats every LCD and CRT TV that I’ve ever owned. The only thing that comes close is my plasma TV with emulated scanlines, but even that doesn’t have quite the same glow as the CRT. The screen size (17") is quite a bit smaller than the 24" LCD display I was using, but that’s actually ideal for 240p content, since 240p content looks better with a smaller viewing angle than the viewing angles for 1080p or even regular standard def content. Eventually, I’d like to also get a 21" PC VGA CRT with a lower dot pitch. Anyone serious about 240p gaming seriously owes it to themselves to get a decent CRT. Search on Craigslist, search on Letgo. Put a wanted ad up. Call some thrift stores. Call your local electronics recycling facility and ask if you can take one of their CRTs. If they say no, sneak in at night and just take one (just kidding, don’t do anything illegal). Just do whatever it takes. Agreed. As much as I love CRT shaders, I have a room full of different CRT displays because there are aspects of them that current flat-panel displays just can’t reproduce. 15 khz, 31 khz, multisync, RGB, Svideo, composite, aperture grille, slot mask, shadow mask, high/low dot-pitch, high/low line-counts… each one brings something unique to the table.